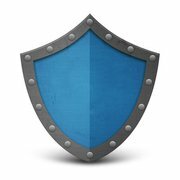 As WordPress blog owner spending hours on its content you should concern about your product security. In other case it’s possible to lose all that hard earned content in a minute. 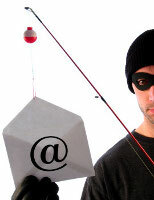 There are a lot of malicious software bots and damn headless young crackers permanently trying to hack our blogs. And if it’s easy to restore original content from the fresh backup copy (do you have it? ), it’s more complex (if possible at all) to restore the lost reputation in case your blog was used as spammer base or showed some bad content after hack incident. Are you sure that your loving blog is secure? Ultimate Security Checker WordPress plugin is the tool which could check your blog for security issues and recommend how to fix them. At the moment this review version 2.7.0 is available at WordPress repository. I tested it successfully with WordPress versions 3.2.1 and 3.3 Beta. What does “Ultimate Security Checker” offers to its user? Let me to spread the word of WordPress team in case you don’t read the WordPress development blog. 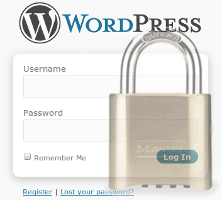 June 21th, 2011, Matt Mullenweg published at WordPress development blog post with “Reset Password” title. You can read full copy below or visit its original page. 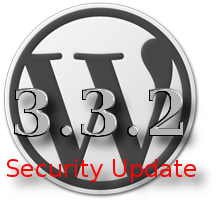 “Earlier today the WordPress team noticed suspicious commits to several popular plugins (AddThis, WPtouch, and W3 Total Cache) containing cleverly disguised backdoors. We determined the commits were not from the authors, rolled them back, pushed updates to the plugins, and shut down access to the plugin repository while we looked for anything else unsavory. 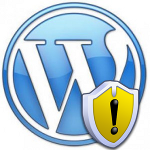 “Lockdown WordPress Admin” or shortly “Lockdown WP Admin” plugin for WordPress is one of plugins concerned WordPress security enhancement. You can locate it at the WordPress repository. Plugin author is Sean Fisher. Last version available for the moment of writing this review is 1.6. Lets go and see step by step what this plugin offers to the WordPress adminstrator to make WordPress more secure. 1st, “Lockdown WP admin” hides wp-admin directory from the un-logged-in visitor. Such visitor will get 404 page not found HTTP error in its browser if he requests http://yourblogdomain/wp-admin/ URL.